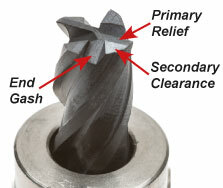 These modules will re-sharpen both normal and centre cutting 2, 3, and 4 flute end mills. 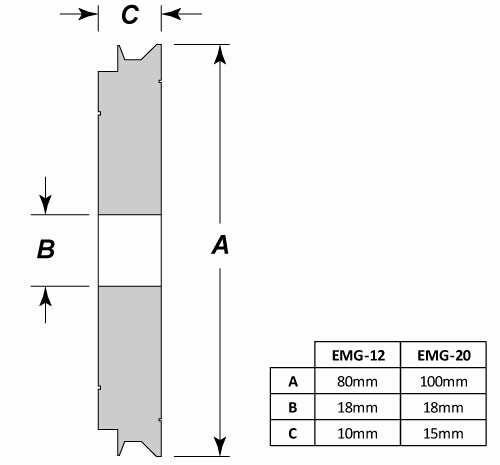 The EMG-12 will cover a range of sizes from 2mm (3mm shank) to 12mm. 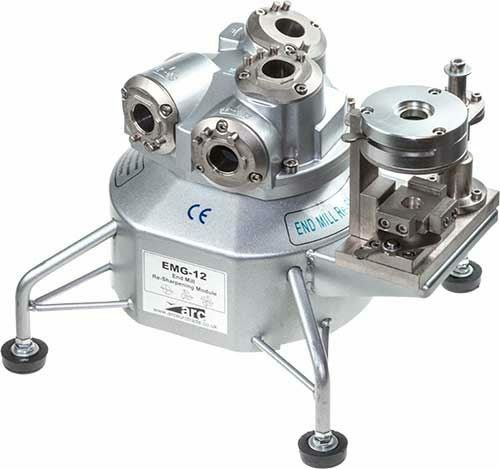 The EMG-20 will cover a range of sizes from 4mm to 20mm. 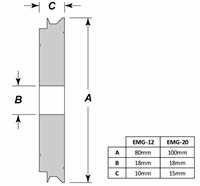 The built-in tool setting jig (on the right of the module) is used to set the tool length and flute orientation prior to grinding. Once the end mill is correctly set in the holder/cam assembly, the various angles are ground by simply rotating the cam assembly back and forth in the ports on the top and front of the module. A specially profiled SDC or CBN grinding wheel takes care of the rest. The SDC diamond grinding wheel (for carbide) is pre-installed inside the module. 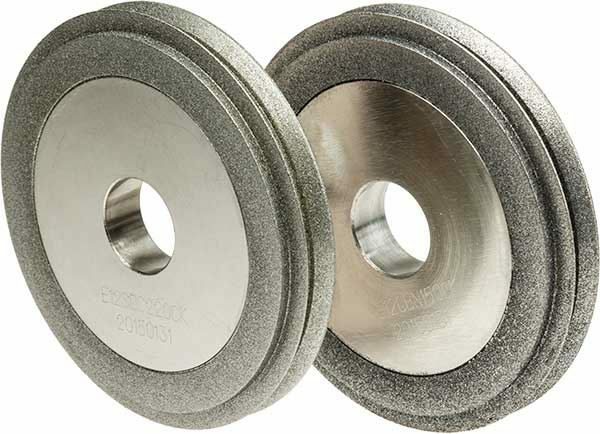 A CBN grinding wheel (for HSS) is available as an optional accessory. Carriage £10.50 to UK mainland only (excluding Highlands and islands - price on application).